High powered guns are used in the Highlands in tribal fights. Opposition Leader, Don POMB Polye has expressed concern over reports of hired guns killing innocent people up in the Southern Highlands Province. Mr Polye said such is the actions of deprived people in the society. Mr Polye was deeply concerned that businesses and well-educated citizens are financing the smuggling of guns into the province to carry out such barbaric acts. But Mr Polye said such are the actions of frustrated businesses which are continuously denied business opportunities by the government and its cronies. “When you continuously deny local companies equal opportunity in business, they resort to activities they never wanted to do,” said Mr Polye. “You have huge companies such as L&A group, Global, Pheonix, Black Swan and China Engineering Company among others with close associates to politicians getting all the businesses in the country. What choice would businesses owned by nationals have but to resort to activities they never wanted to do such as financing of illegal activities,” said Mr Polye. Mr Polye said local businesses have commercial loans to repay, labour costs and operational costs and if the government and its cronies continue to deny them of business opportunities, financing of illegal activities are likely to continue up in the Southern Highlands province. 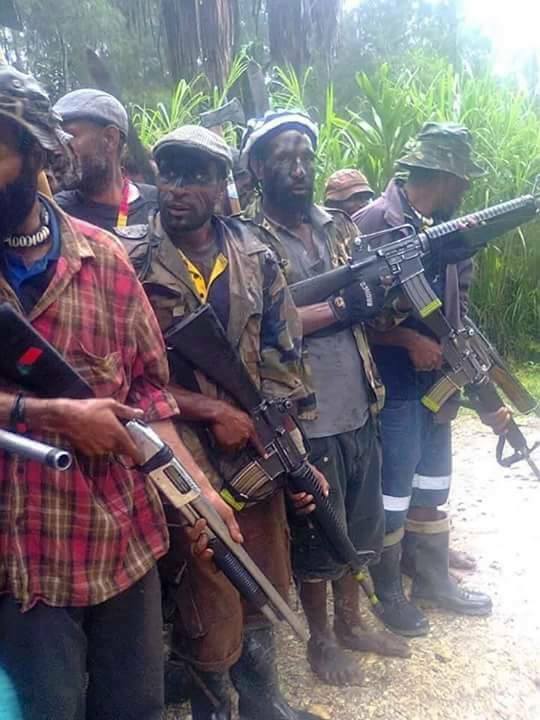 “Financing of high powered guns by businesses and smuggling of drugs are likely to increase if locals are continuously pushed away to the corner by bigger corporations with the help of corrupt government ministers,” said Mr Polye. Mr Polye said the country must not be alarmed by what’s happening in the Southern Highlands as these are norm in areas where citizens are continuously denied of business opportunities and or denied of avenues to businesses. He said there is no doubt that crime is on the rise and that even the Prime minister who is from SHP has failed to clean up his province. The satisfaction and joy that the Prime Minister is from SHP is a not a solution to the problems there in the province. The people of SHP need to wake up to the reality of greed that exists in their province. Mr Polye says the Opposition knows the root cause of what’s happening in SHP and the nearby provinces and that it has the alternative strategy and policy to provide the right panacea.